This report provides a detailed account of the experience of discrimination for people with disabilities in Ireland. 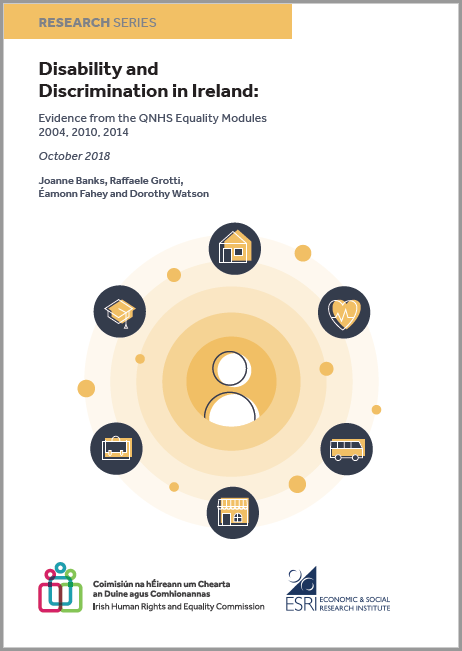 Using the Equality module of the Quarterly National Household Survey (QNHS), this report examines the extent to which people with disabilities experience higher rates of discrimination across a range of life settings or domains compared to people without disabilities. These domains include both public and private settings such as education and training, access to healthcare, access to housing, the provision of goods, facilities or services, shops, pubs, restaurants and banks and other financial services.